Millions of Americans use tanning beds to maintain a year-round glow. Though tanning beds have been considered controversial in recent years due to their effects on health, sunbeds still make up a multi-billion-dollar industry. 1. How will you position your business? What is your vision for your salon? Will you compete on the basis of price or service? What kind of customer will you target? These answers will depend largely on the research you have done on your local market, but should influence your entire marketing and sales strategy. 2. Are you willing to take a risk? Successful entrepreneurs recognize and capitalize on new trends and there are plenty in the tanning bed industry. When high-pressure tanning debuted, salons that jumped on board saw their business flourish. The same thing happened when sunless tanning came into the market. Salon owners who are able to recognize and capitalize on emerging industry trends gain a competitive advantage and can stay steps ahead of their competition. 3. Are you marketing savvy? A tanning salon needs clients in order to stay in business. If you are buying an existing salon, you will inherit clients, but you must also work to bring new ones in your door. 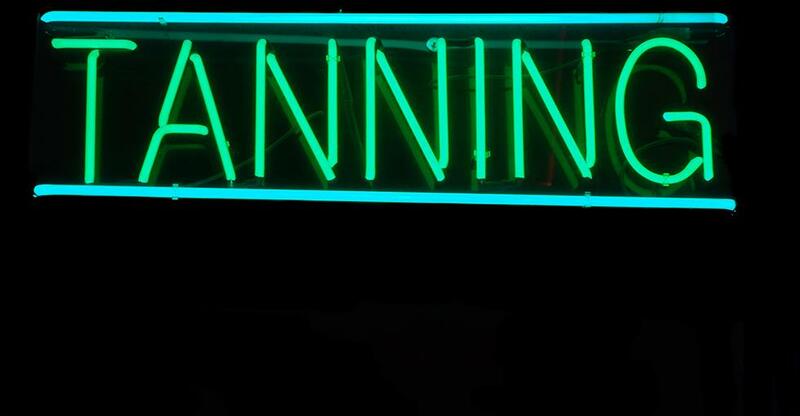 Having a solid marketing plan (or hiring someone to do this for you) is essential for a tanning salon owner. You may want to consider offering a deal such as a free session for first-time clients then offer a monthly tanning package. Consider advertising in local newspapers and magazines and possibly even radio or television stations. Having a website is a must these days, as well as an active social media presence. Work to inspire loyalty in your tanners by offering a “refer a friend” deal that benefits them. 4. Are you safety conscious? There are a lot of regulations for the tanning industry as outlined by the United States Food and Drug Administration. Keeping your clients safe will keep them coming back! Responsible tanning salon owners will work to educate clients on skin types and proper sun tanning to avoid sunburns and other problems. You will need to provide eye protection, provide a waiver and make sure your clients understand possible risks. 5. Will you be an active participant in your industry? There is a growing public perception that tanning is dangerous, in part due to a series of legislative blows to the industry in recent years. Fourteen states have banned minors from using tanning devices, and the federal government has imposed a 10% tax on all indoor tanning services. However, there’s a bill currently being considered by Congress which would appeal the tax that was enacted in 2010. The American Suntanning Association (ASA) is a non-profit organization driving support of the bill. “The tan tax is an example of a misguided policy, implemented with little forethought, which has crippled an industry and cost tens of thousands of jobs in communities across America,” said ASA President Bart Bonn. According to the ASA, more than 9,000 salons, about half of all tanning salons in the U.S., have closed since the tax was imposed. That eliminated 76,000 jobs in an industry heavily dominated by female business owners and employees. Tanning salon owners may find joining this group of 14,000 salon owners beneficial because it provides support in educating people about exposure to sunlight and UV rays. It works to promote the benefits of tanning which the industry says includes vitamin D production, and helping with skin conditions like acne and psoriasis. If you are interested in purchasing a tanning salon, peruse the listings on businessesforsale.com.